1. Fewer Complaints: The publicity surrounding “sick building syndrome” has made the public aware of poor indoor air quality as a threat to well-being. The proactive building operator can help prevent complaints by the application of a Green Cleaning program. 2. Improved Employee Retention: Turnover of employees is reduced when they perceive that their employer cared enough about them to improve the indoor environmental quality through Green Cleaning. 3. Better Productivity: Absenteeism, low productivity, and high health claims may be attributed to fumes, dust, allergens, and other pollutants in the indoor working environment. 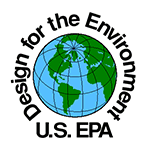 The EPA ranks poor indoor air quality as one of the top five health risks in the US. It has been noted that indoor environments that have been Green Cleaned are known to increase worker productivity between 0.5% - 7% with +2% as a reasonable expectation. 4. Community Recognition: The high visibility status of being LEED Certified by the USGBC (Leadership in Energy and Environmental Design, United States Green Building Council) will give any facility valuable and favorable esteem among its peers. 5. Head Start on Compliance: State, local, and federal agencies are stepping up the regulation of chemical substances in the workplace and the environment and their disposal practices. Facility managers can be proactive by adopting Green Cleaning methods and materials. Clean Image Janitorial has completed the International Janitorial Cleaning Services Association Green Certification Course and we have acquired Green Certification. 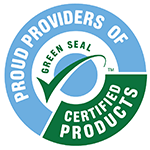 The IJCSA Green Cleaning Company Certification insures that member companies are current on safe green practices, training and regulations. 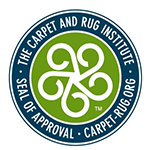 We are required to complete yearly certification to stay up-to-date on the latest aspects of natural, safe, and eco-friendly cleaning products and procedures. While it is true that traditional cleaning methods are proven effective and may keep the majority of indoor working environments comfortable, sanitary and safe – Green Cleaning is the future. Consider implementing a science-based approach to minimize environmental impact and promote human health today!